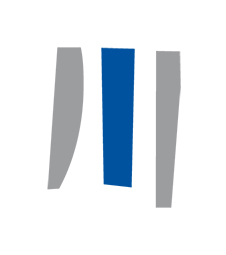 The European Investment Bank has signed the Berlin Call to action “Cultural heritage for the future of Europe” to promote the “positive and cohesive power of our shared cultural heritage and values to connect Europe’s citizens and communities”. Emma Navarro, Vice-President of the EIB, signed the document on Thursday 17 January 2019 in Brussels at the Villa Empain – Boghossian Foundation where an exhibition of artworks from the EIB art collection (“Beyond Borders” until 24 February 2019) is currently hosted. The signing of the Berlin Call to Action responds to EIB’s fundamental strategic priority – promoting economic and social cohesion in the EU. The EIB has invested in cultural heritage over many years, supporting investments in urban development and tourism linked to the European Capital of Culture preparations in Plzen (Czech Republic), Pecs (Hungary) and Malta or financing the refurbishment or development of cultural heritage buildings through several urban regeneration projects in Valletta, Nicosia or recently in Warsaw and Nancy (France). 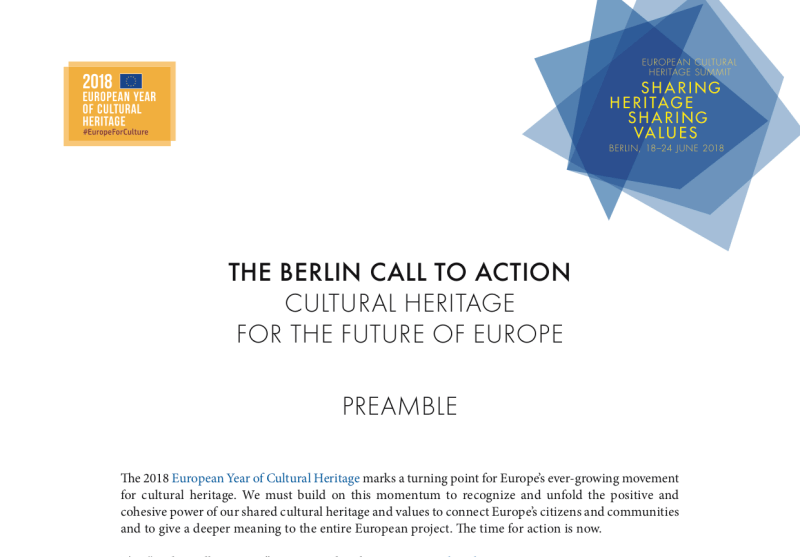 The Berlin Call to action was launched by three European organisations active in the field of cultural heritage, Europa Nostra, the German Cultural Heritage Committee (DNK) and the Prussian Cultural Heritage Foundation (SPK), on the occasion of the European Cultural Heritage Summit in Berlin on 22 June 2018. Building on the momentum created by the first ever European Year of Cultural Heritage, it seeks to engage as many organisations and individuals as possible in an “ambitious European Action Plan for Cultural Heritage as a lasting legacy of the European Year”. It has already been signed by more than 2 100 institutions (seven regions, 28 cities, Members of the European Parliament, the European Commission, the European Committee of the Regions, the Council of Europe…) and individuals. The Institute has been collaborating since 2013 with Europa Nostra in the framework of the 7 Most endangered programme mixing the cultural expertise and lobbying work of Europa Nostra with the technical appraisal and rescue planning skills of the EIB.